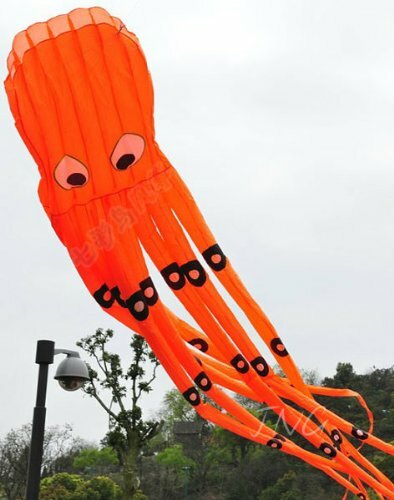 7.5 M 3D Parafoil Giant Octopus Kite will look stunning in the sky at any time of the year, it will delight flyers of all ages. With its bright and vibrant colours. it is a colourful wonder in the sky and let it looks like Alien in the sky. Fun to Fly or can also be an amazing great gift idea for your friends. Good for Eye Health. Relaxing toy. Fun to fly. Included: Original kite bag, handle & string, ready to fly! A best way to have fun! An amazing gift idea for your friends too.